XIMO USA is a leading provider in affordable and efficient brewing solutions. Our BREWING EQUIPMENT combines the economic qualities of Chinese Stainless-Steel fabricators and superior American electronics to create hybrid systems that are both affordable and sophisticated. XIMO USA manufactures specialized equipment designed to process and produce: Cider, Kombucha, Beer, and Wine. Our product line includes every brewing and alcohol-making equipment imaginable: from the humble Home Brewing Systems/Pilot Systems to Large-Scale Production Breweries. From start to finish, XIMO USA is there to support you and your dream of expanding or starting your own brewery. Our dedicated staff adheres to every need of our customers to ensure your brewery, cidery, or winery maintains maximum efficiency and reliability. 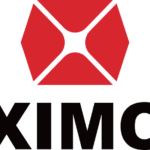 XIMO combines both the world’s most sophisticated brewing technology with economical prices in order to provide our customers with the best equipment at an affordable price.